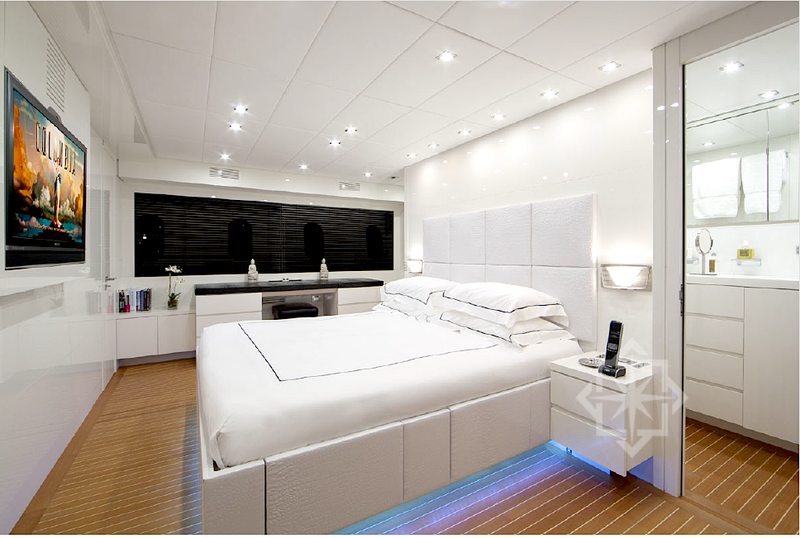 This Miami Yacht Charter boasts a beautiful white interior with black accents, light teak floors and all white leather offering the perfect combination of serenity and modern design. The main salon has large white couches port to starboard providing comfortable lounging for all guests onboard. 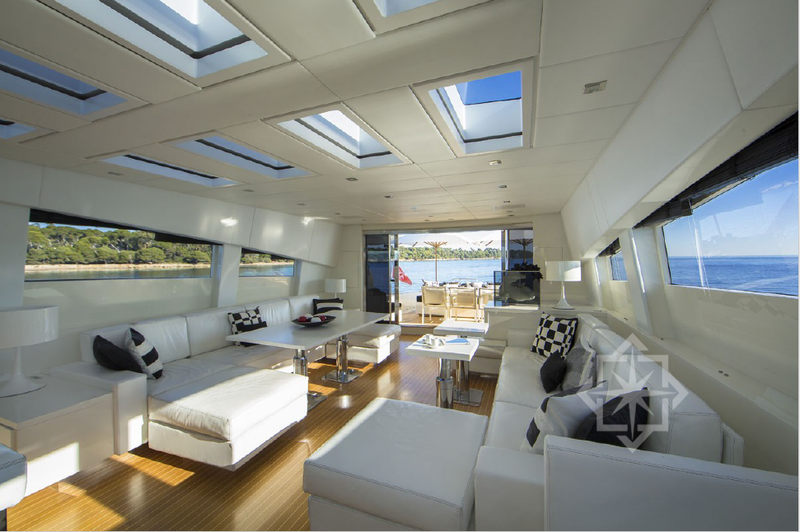 The panoramic windows and skylight ceiling gives the salon a feeling of openness allowing your guests an unobstructed view of the scenic views while you cruise. In the salon there is a formal dining table, twin coffee tables, wet bar and entertainment system. 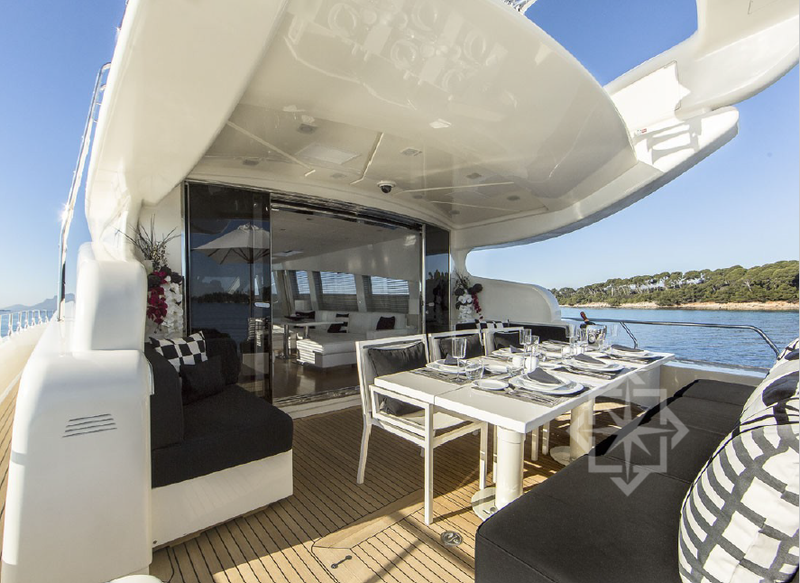 The 106′ Leopard boasts a spacious aft deck with alfresco dining for 12 guests. No need to reserve a spot for sunbathing. 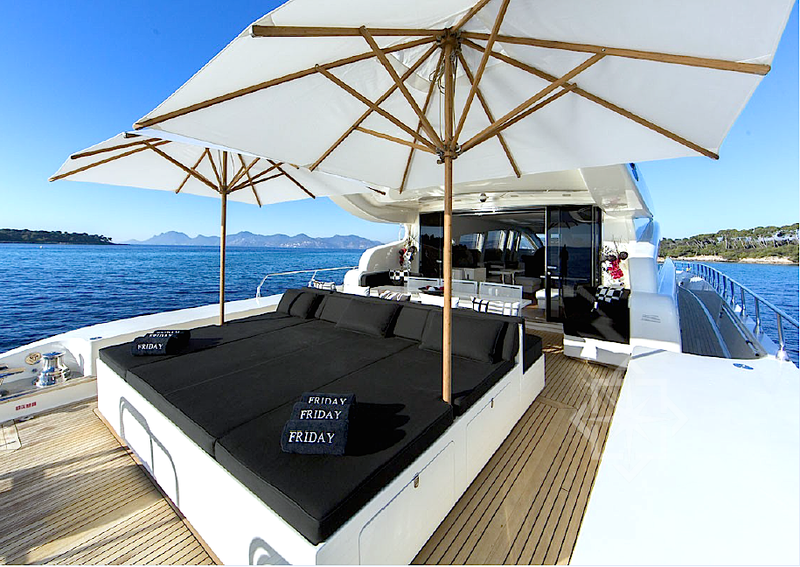 This vessel has a large sunbed at the aft with 2 large sun umbrellas, a swimming platform and sunbathing area located on the foredeck with optional bimini. 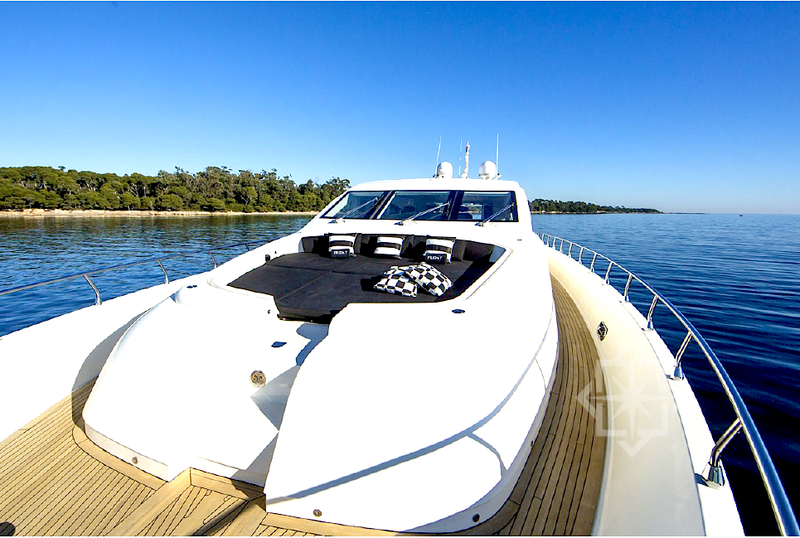 This yacht is sportive in nature with her sleek profile and featuring a high-performance propulsion system propelled by Kamewa water-jets which are able to attain speeds of 28 to 35 knots. 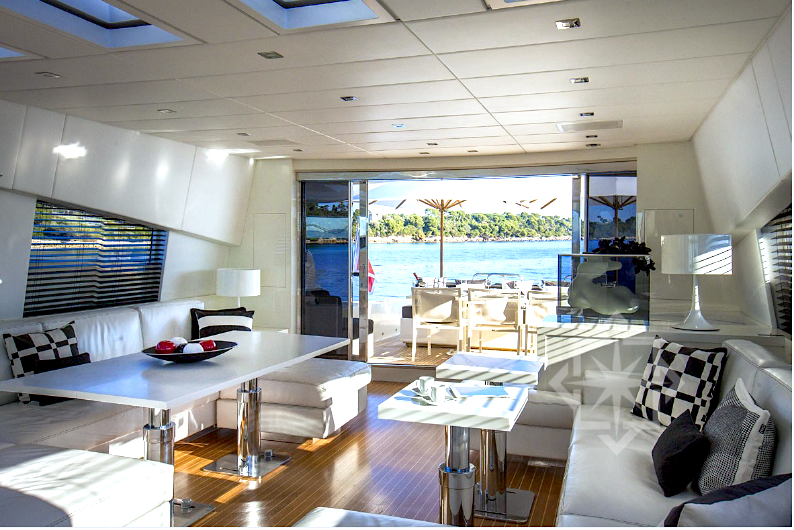 StarLux Yachts is the premier Miami Yacht Charter operation. 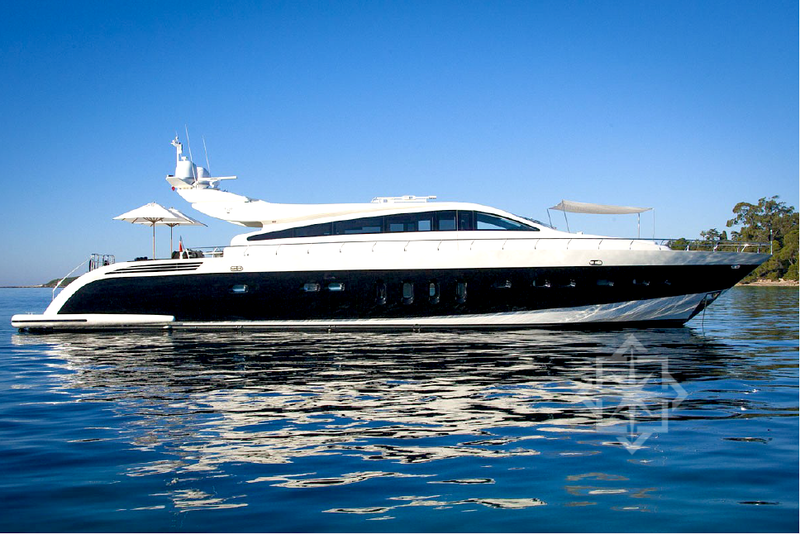 Our luxury services are not just limited to your yacht charter! We are specialists in all things luxury, with white glove logistics, for an personal incredible experience. We guide you every step of the way. We can help coordinate your vacation getaway or special occasion.